Our mission is to make your days colorful ones. PUKACA was founded in 2005 by the designers Isabel Vaz & Nuno Dias. Isabel loves to draw small creatures and Nuno loves to make them alive. that are made thinking about children and, for children. Creating each Paper Toy is a great challenge. From the initial idea to the final product there are countless prototypes and hours of hard (fun!) work. We’re always delighted with the traditional tales, the Brothers Grimm folk tales & legends, the La Fontaine fables, the Medieval stories, the Natural World and all the other worlds that belong to the children’s imaginary. Our works have been featured by Anorak, Apartment Therapy, LMNOP Magazine, Do It Yourself Magazine, My Child Magazine, A Lovely Lark, Design Is Yay and Oh Happy Day, amongst many others. Yes. All of our Paper Toys are packed in a 100% Recycled Paper envelope. The World – and the oceans especially – are getting full of plastics. It’s our duty to contribute the best way we can to stop this. So, we redesigned our complete range to achieve this goal and we’re proud to say that our Paper Toys are 100% plastic free. Now, you can play in a even more sustainable way. Enjoy! 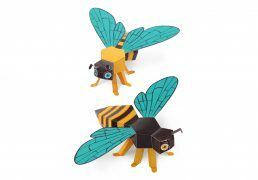 In a World full with technology, our Paper Toys bring back the pleasure of constructing your own toys. Our toys are meant to be built using the hands, increasing manual dexterity and spatial perception. We believe that constructing and playing with our toys allows families and generations to interact and to share experiences. It’s that need to see things take shape, to create, to learn and to play with them. They aim to enhance in the child, or in whom handles them, an active and creative intervention. PUKACA believes in the principle that the difference enriches us. It’s important to have toys that raise creativity, provide new experiences, highlight the human individuality and allow interactivity with others. 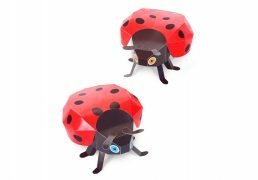 Our Paper Toys are tested for children over 3 years old. 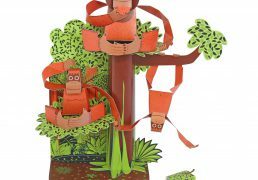 – Children over 7 years old – Carousel, Robots, Space, Tropical Forest and Pyramid Paper Toys. Our Paper Toys have 5 levels of difficulty. From “really easy to assemble” to “tricky hours of fun” you can choose the level you want. 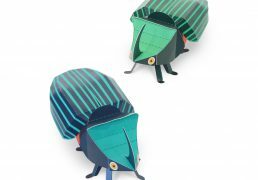 PUKACA chooses to design Paper Toys in which it knows the origin of its components, its type of production and raw materials used. 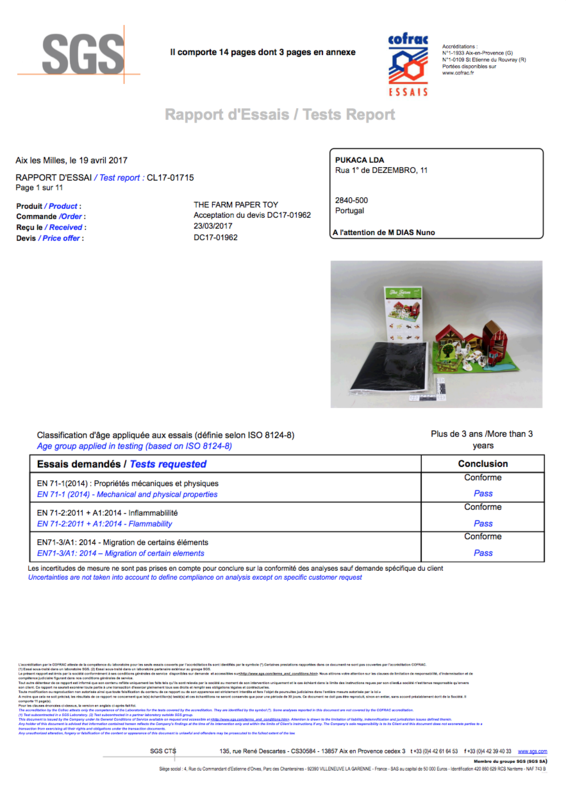 Our Paper Toys are tested by SGS and comply with EN 71-1 (2014), EN 71-2:2011 + A1:2014, EN 71-3/A1:2014, and 94/62/EC Directive – 2007-1467 Decree. Our Paper Toys are 100% designed, printed and assembled in Portugal. From the very beginning we decided that our Paper Toys should be made only with 100% recycled paper only, from 100% de-inked recycled fibres and PCF (Process Chlorine Free). 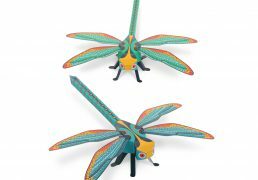 We use a recycled paper from FSC certified suppliers, with Blue Angel Certification, EU Ecolabel Certification, Process Chlorine Free, Heavy metal absence and it complies with the EU’s Toy Safety (EN 71) standard. We feel secure to make your online shopping friendly simple. Your privacy and security is important to us. So, we only accept payments for international orders via PayPal because they offer secure payment and checkout. PayPal enables any individual or business with an email address to securely, easily and quickly send and receive payments online. If you don’t have a Paypal account to pay, click the Paypal button when you go through the checkout and look for the link to pay with your credit card. Purchases not paid for within 3 days will be canceled without notice. Reserved items will only be held for 5 days. Our creations are all unique pieces, as they are handmade not all elements are alike. All photos are from samples. Your package will ship immediately upon receipt of payment. All orders will be sent by Priority Mail. International shipping takes 2-10 business days, according to your area of the world. We can’t guarantee orders shipped to PO Box addresses will arrive. If you have a PO Box, please send us an optional address – in the Notes to Seller during Checkout – for us to send out your order. and occasionally receive great exclusive freebies! Arrived quickly despite international shipping. Very cute! Very fun little puppet show for kids, easy to put together, highly recommend and the children just loved them! Great customer service! Absolutely gorgeous. So well made. My kids already have it set up – we’ll be more than ready for Christmas! Thanks again. Will definitely be buying from you again in the future. Super fast delivery and an amazingly cute item!!! Thanks so much!